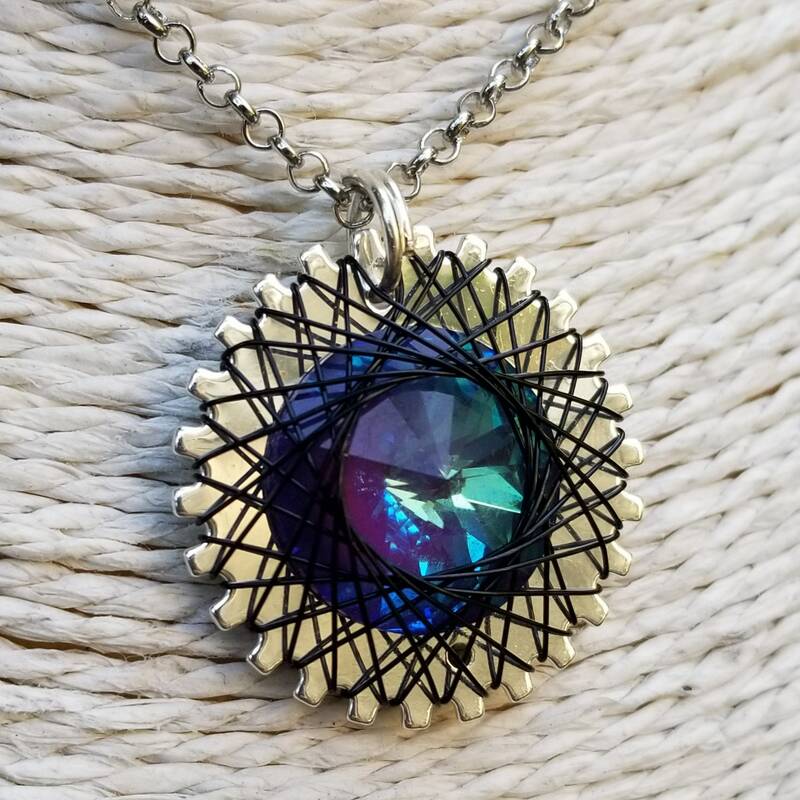 This hypnotically symmetrical pendant is set with a deep blue and purple crystal with hints of teal! 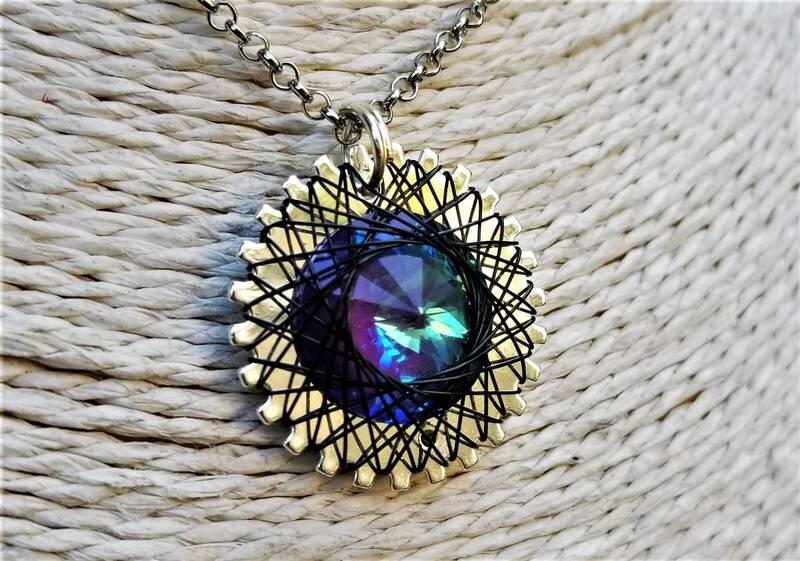 It's wrapped in black-coated copper wire in a spirograph-inspired pattern. 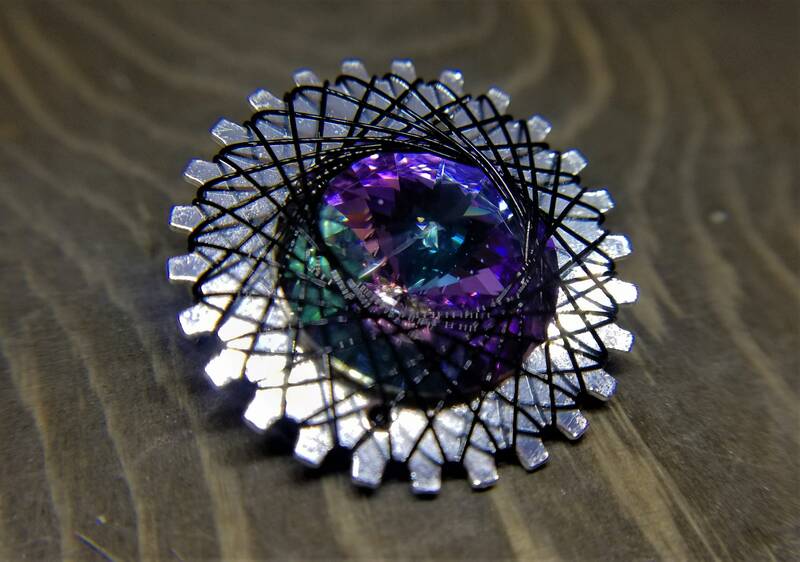 The pendant is 1.25". The chain can be antique silver, shiny silver or black. Select your own length at check-out, from 15 to 23 inches!